Handmade genuine leather leather phone case for all smartphone makes and models. 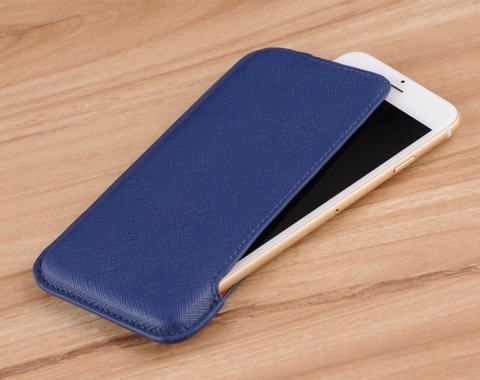 Carry your smartphone in style with the most elegant and luxurious leather case on the market. Using the finest workmanship, our team of leather artisans beautifully crafts the leather sleeve with your choice of over 100 genuine leather colors and textures to give your device a perfect fit. I purchased a beautiful new purse and wanted a phone case that would be beautiful to attach to the handle as well as functional. 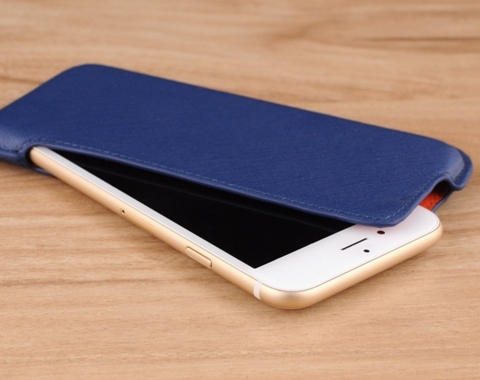 the iPhone 6 slider with the snapping belt clip is perfect. Because I specified exact dimensions, it stays very securely and it looks beautiful. I opted not to have a closure thinking the case would hold the phone, but if I held it upside down the phone could fall out. I just put two pieces of duct tape on the inside of the case to create a bit of traction and this completely solved the problem. But if I bought again I would include the closure. Overall product was exactly what I wanted and expected. Very pleased. I am really enjoying my new cell phone case. I love leather but was nervous the case might be too soft and not protect my iPhone but it is beautiful and functional. While the website has a disclaimer as to color and appearance, my case came exactly as it appeared on the website. The website was amazingly easy and straightforward to use with a nice selection of colors and finishes. I would recommend this website (and have). The fit, stitching, and finish could not be better. The iPhone fits snug, but can be extracted easily with two fingers. The case has kept its shape and I'm confident it will continue to do so. The pebbled outside texture is enough to keep it from sliding out of a shirt or jacket pocket. 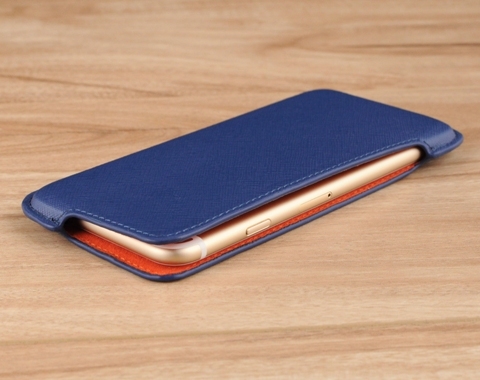 The double layer of leather adds very little bulk, but is good protection for the iPhone. 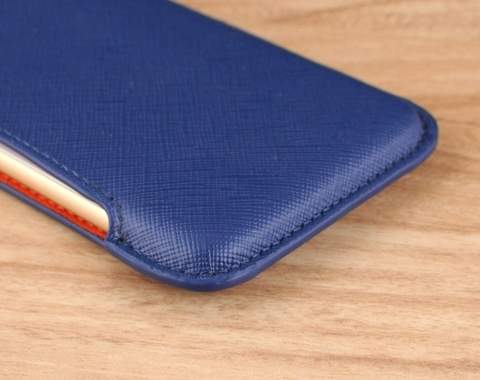 Not the cheapest solution out there, but if you enjoy quality, you'll enjoy this iPhone case every time you pull it from your pocket.